Originally from Taiwan, bubble tea has become an interesting part of the American culinary fabric. Not quite a milkshake but not quite a tea, this frothy cold drink is served with black “pearls” made from tapioca and comes in a variety of flavors. Whether this is your first experience with bubble tea or your hundredth, you simply must try one from the following nine places in Kansas! ICTea is a newer bubble tea spot but they’ve already made a name for themselves as a go-to. They serve flavored green tea, oolong, and jasmine in hot and cold varieties. They also have smoothies and slushies. House of Cha specializes in loose leaf green and black tea, along with “creamy and fruity flavored bubble tea served with boba or other textures.” They have 25 different flavor including chocolate peanut butter, orange cream, and red bean. Fat Bee Drinks is simply one of the best in Kansas. The menu is huge and includes milk tea, fresh tea, frosty drinks, yakult drinks, espresso, cheese, and more. Consider the super special series of drinks, including their triple bee milk tea, made with fatbee milk and three signature toppings. Café Vie in Overland Park specializes in Asian fare, including Korean and Vietnamese dishes. Their 20-ounce bubble teas come in eleven different flavors, including watermelon, taro, papaya, and more. Come in for a tea and free Wi-Fi. Kung Fu Tea is taking the country by storm. They’ve got locations all over the state. The menu is huge and includes milk tea, punch, slush, milk cap, milk strikes, specials, and more. NobiliTea is more than a punny name. They’ve got tons of flavors and varieties of tea, but their bubble tea is the main attraction. Come in for their holiday-inspired brews for your favorite holiday. Affordable drinks, friendly staff, a variety of flavors. What could be better? BOBA KC has a number of bubble teas available including a delicious caramel apple and strawberry coconut. On a hot day, this is the perfect thing to cool you off. While you’re here, make sure you grab a doughnut AND one of their amazing boba teas. 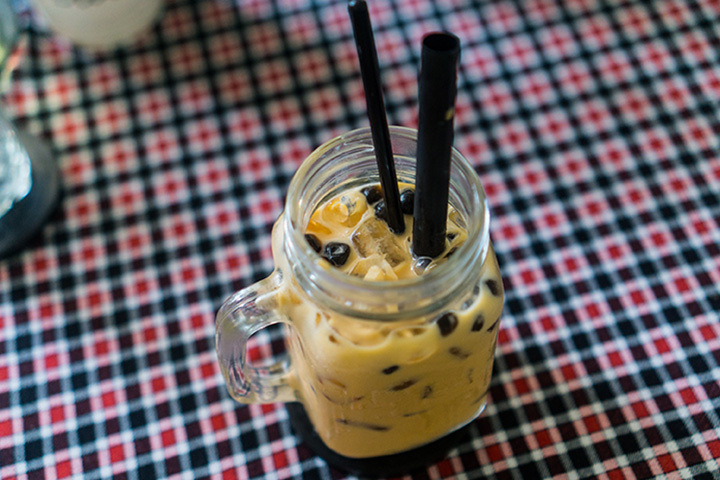 Flavors are made in house and their boba is soaked in a house-made brown sugar syrup to further enhance the flavor!